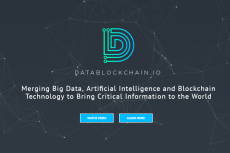 DataBlockhain.io, a revolutionary platform combining big data, blockchain technology and artificial intelligence has announced a partnership with Virtual DBS. 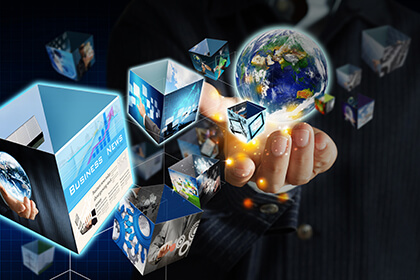 A marketing industry innovator, Virtual DBS offers customer profiling and predictive analytics to deliver highly targeted digital marketing campaigns. The companies have combined forces to give clients the benefits of blockchain, fortified by cutting-edge analytics. 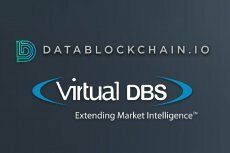 As a digital marketing industry leader, Virtual DBS brings powerful big data experience to its partnership with DataBlockhain.io. By leveraging innovative blockchain technology, the alliance allows clients to access and purchase comprehensive marketing data via a secure, frictionless platform. The partnership between Virtual DBS and DataBlockchain.io will further enhance the suite of offerings from DataBlockchain.io. The firm will be the first in the marketing industry to offer customized analytics of both customers and markets that is powered by artificial intelligence and delivered securely using the power of blockchain technology. This will allow businesses to predict their customers’ behavior to maximize impact and extend reach. On May 27, 2018, DataBlockChain.io launched its token pre-sale, allowing investors to purchase tokens at a significant discount from the initial launch price which will be available on June 27. For more information visit DataBlockchain.io. For more information about Virtual DBS and using analytics to understand and enhance prospect and customer data, visit VirtualDBS.com. The DataBlockchain.io platform is a crucial offering to the marketing and advertising industry, which was last year valued at $591 billion. With the need for accurate information only growing, DataBlockchain.io will provide proprietary data, ranging from governmental, industry specific and business channels to name a few. The project aims to provide a comprehensive variety of data sets valuable to individuals from any industry background. For companies outside of the Fortune 500, access to quality data has been a tremendous issue, but DataBlockchain.io is looking to overturn this. Quality data will no longer be a resource for those with extensive funds through removing the middlemen from data purchases. This opens up an untapped market of potential clients internationally. Blockchain-based Data Democratization Startup DataBlockchain.io Partners with Media Direct, Inc.